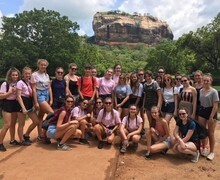 This years sports tour was to Sri Lanka and took place during October half term. 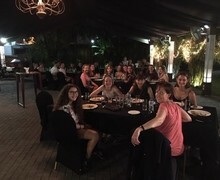 Miss Abbott, Miss Palmer and Mrs Hare accompanied the Yr 8-13 students on the awe-inspiring trip to this fantastic country. 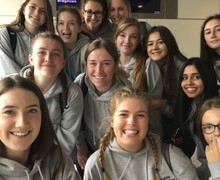 The girls volunteered at a local Seenigama Foundation of Goodness sport centre which aims to help improve the lives of the local community who were devastated by the tsunami. The group actually visited the main centre as well where they saw the unbelievably high-water marks left behind by the devastating waves back in 2004. The Invicta students build up many nice friendships and memories from the trip which I’m sure they will carry forward in years to come. As well as giving up their time to volunteer the girls also had plenty of R&R time sightseeing around the country. 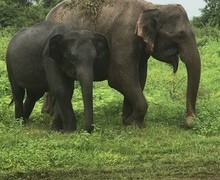 For a full write up please read our students blog posts from the tour. 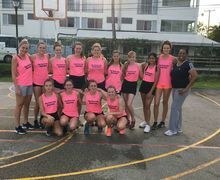 During our trip to Barbados in October 2017, the girls had an opportunity to develop their netball skills and gameplay. 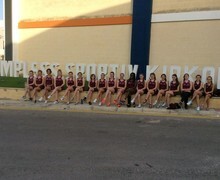 They were coached by a qualified netball coach on a daily basis and were then able to put these skills into practice by playing four matches against local Carribean teams. 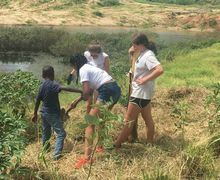 Whilst we were in Barbados the students participated in a community tree planting project to help the local villagers. “After a 3am pick up at Invicta, we travelled to Gatwick for our flight to Malta. After an easy flight (and a bumpy landing!) we made our way to our hotel to check in, change and have a quick lunch. We then headed off for our first 2.5 hour training session with Kelly, our netball coach. Soon we were back on the coach to travel to our match against a local team! The U15s played really well against a strong attacking side and achieved a score of 4-10. The U16s played their match against a mixed age group team (adults and youths) and achieved an outstanding result of 20-9. Francesca and Emma were awarded Player of the Match." "We started off the day with a two hour training session in the rising heat, with the students developing more advanced skills and techniques. After a quick lunch, we headed off to the sports centre for our second match against another local club. The U16s playing really well against a strong cohesive team. The score was close all the way. In the 4th quarter, we were 1 goal behind but we finished with a draw, with our shooters managing to get a goal in the final 5 seconds!! The U15s played exceptionally well, seeing significant improvement in the skills developed from the earlier training sessions. Invicta soared ahead with a final score of 22-3. Congratulations to both teams for their exceptional performances today. To finish the day, we had a movie night arranged at the hotel with a special surprise for Joyce who was celebrating her 16th birthday in Malta! A cake had been prepared and we all enjoyed spending the evening as a group. Too many sweets were eaten but we had a great time! We are looking forward to another game tomorrow and a trip to the city centre!" "We had a very early start this morning with a match against the Malta national teams. The U15s started the session off, playing incredibly well. Unfortunately, the Malta U15s were strong and experienced and won the game. 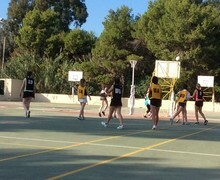 The U16s then had their turn against the older Malta team. Invicta worked hard building up the score and were soon comfortably winning! The final result was an incredible 36-19 to Invicta. The girls were really proud to have won such an important game. After that, we had the opportunity to visit Valletta city centre where the staff and students could spend some time shopping and exploring the area. The weather was incredible and everyone enjoyed the afternoon in the sunshine. Dinner followed by a relaxing evening has been a great way to finish the day. Tomorrow will be busy with lots of training and an extra match against an English team who are also on tour!" "Today, we had the opportunity to train and then play against an English school from Sussex who were also out on tour. The girls were mixed up in order to develop their social skills and integrate with other students. Despite the heat, the girls all played really well. Our final training session began with skills and drills, followed by a 40 minute versatility match, where each player changed positions after every goal! We had the opportunity to put our training into practice for the final time. "On the last day, students and staff visited St Julians for a couple of games of bowling. Each lane were in fierce competition but Miss Parish’s team eventually won! Then it was off to the airport. The group returned home very late, after the coach was delayed on the way to picking them up." Miss Parrish commented “The girls were great ambassadors for Invicta. They played well, trained well, and behaved well. They were an absolute delight to take on tour”.